An agricultural easement is a restriction on the use of real property. Once the easement is in place, it limits the property to only being used for agricultural purposes. This restriction reduces the open market value of the property, so the landowners receives payment from the Ohio Department of Agriculture in exchange for the easement. This often allows long term family farms to pull some money out of their land, which helps ensure the continuing viability of the farm while preserving the farmland from development. The process itself is lengthy. We, as a title company, conduct a title search on the farmland. This looks at any deeds, mortgages, oil and gas leases, easements or other restrictions on the property. 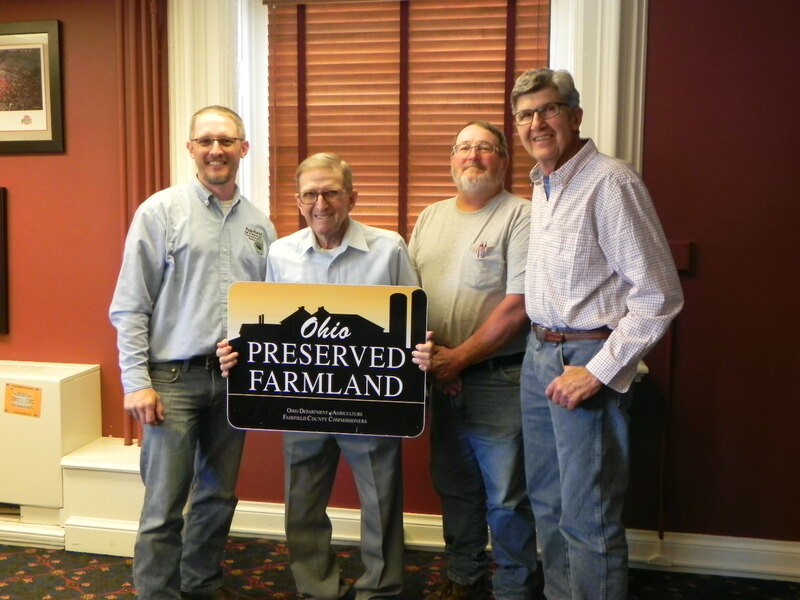 We then work with the farm owner, Jonathan Ferbrache of Fairfield Soil & Water Conservation District and the Ohio Department of Agriculture to review and fine tune the title search. This involves things such as cancelling old oil and gas leases or getting permission from a lender with a mortgage to put the easement on the real property. At the same time, the Ohio Department of Agriculture is working to move the initial approval for the easement to a finalized approval. All in all, the process can take more than a year. Many farms apply for easements several years in advance before finally being approved. There are only a limited number of agricultural easements are put in place each year. If you’re considering an easement the first step is to apply here. The next step is to contact us. We have experience in working with farmers on several land issues including oil and gas as well as easement and titles.